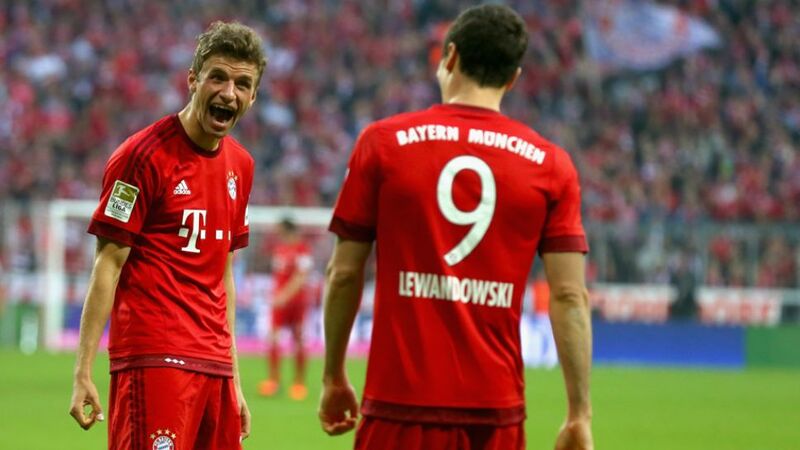 FC Bayern München’s dynamic duo of Thomas Müller and Robert Lewandowski continue to grab headlines this season. Following Wednesday’s 3-0 DFB Cup win at Bundesliga 2 side VfL Bochum, the pair have now scored a combined 50 goals in just 60 appearances. The mark was reached after a brace by Lewandowski at the rewirpowerSTADION and came just three matches after the Pole and his team-mate became the highest-scoring duo after just 18 games of a league season, at which point they had hit the net 31 times between them. Lewandowski has 29 goals this season: 19 in the league, seven in the DFB Cup and three in the Champions League.Müller has 21 goals this term: 14 in the league, three in the DFB Cup and six in the Champions League.Lewandowski scored five times in just nine minutes against VfL Wolfsburg back on Matchday 6.Lewandowski is just five goals shy of his personal best in a Bundesliga season (he hit 24 for Borussia Dortmund in 2012/13).Müller is without a league goal in 2016 but passed his personal best season tally for a Bundesliga campaign back on Matchday 17.Bayern next face FC Augsburg in the Bundesliga. Müller has scored five goals against them – including the winner back on Matchday 4 – while Lewandowski has nine against the Függerstädter in as many appearances.